Our range of accounting software is designed to meet the needs of any size of business. Choose from a range of desktop or online accounting solutions that allow you to invoice customers, analyse business performance and manage VAT, stock, budgets and more. This is the the most ideal solution for small to medium scale businesses. It offers more features than Sage Pastel Xpress and is well suited to a multi – user environment. The system allows users to add additional modules to their base accounting application. This means that if your company operates in retail, industrial or any other type of sector, you can customize it according to your specific needs. Point of Sale, Multi currency, Receipting, Multi store, Inventory, Fixed assets, Time & billing, Serial Number Tracking, Bill of materials, Business Intelligence Center, Bank manger, Cash/Debtors Manager. 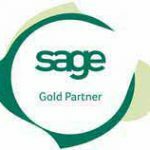 Trusted by over 400,000 businesses worlwide, Sage 50 Accounts is now Sage 50c… and it will change the way you do business forever. Sage 50 Accounting is a super-smart solution that brings all the elements of your business together, enabling you to control your finances and maintain your relationships with your customers,suppliers and staff. All components in the Sage 50 Accounting range are fully integrated and share a common interface. Your data integrity is also ensured. Sage Evolution Premium gives the keys of control to large business owners, consolidating operational management and reporting in one convenient, integrated location. Annual billing, Bank Manager, Bill of materials & manufacturing, Customer Credit Risk Management, Customer Account Consolidations, Cash/Debtors Manager, CRM, Fixed Assets, Job costing, Multi currency, Multi warehousing, POS, Global tax, Voucher Management, Sales force automation, Serial Number Tracking, Branch Accounting, Linked Accounts, Lot tracking, Discount Matrix, Advanced Procurement, Advanced BIC, E-Business, & E-Billing, Delivery Management, Service Management, Mobile Sales. Sage 300 (formerly known as Sage ERP Accpac) goes beyond the ordinary ERP solution you have become accustomed to. Our technology and processes have evolved to create a streamlined and efficient solution for small to mid-market companies with up to several hundred users. Its functionality ranges from Medium to large-sized businesses, anytime, anywhere access to transnational data with true web screens across financials, operational and inventory, sales, marketing and customer service, currency and languages, workflow and process tools, personalised KPI homepage dashboard and robust Business Intelligence tools. Standard Crystal Reports, Inguiry Tools, Financial Reporter (FR), Financial Intelligence, Enterprise Intelligence, Spreadsheet Analyst Document Management, Virtual Postman, Spindle Professional Doc Delivery Alerts and Workflow, Business Intelligence. Customer Relationship Management, Sales Management, Marketing Management, Customer Service Management. 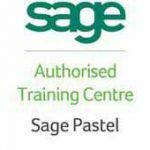 Project and Job costing, Sage Time-sheet, Service Manager, Sage 300 Manufacturing. Enhance responsiveness and issue resolution with agile access to real-time insights. Sage X3 frees organizations from the effort and complexity of traditional ERP. Sage X3 is changing how midsize enterprises compete and grow by offering simpler, faster and more flexible business management capabilities at a fraction of the cost and complexity of typical enterprise systems. Source: The Total Economic Impact™ Of Sage X3, a January 2016 commissioned study conducted by Forrester Consulting on behalf of Sage.